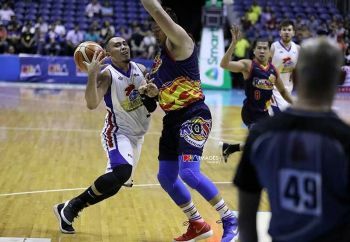 WHEN Season 44 of the Philippine Basketball Association (PBA) blasts off tomorrow, Jan. 13, San Miguel Beer remains the runaway choice to rule the league’s first conference. Not surprising since the Beermen won the last four editions of the All-Filipino crown aka the Philippine Cup. Not since the days of the fabled Crispa Redmanizers did the nation see a team as dominant as the Beermen in the conference confined to purely Filipino talents. When imports are off-limits, SMB is simply unbeatable. Proof to this is the squad’s four successive victories in the All-Filipino Conference since 2015. And, seemingly, the only four-time Philippine Cup champion can do it again. Hasn’t SMB just gotten a brilliant reinforcement in Terrence Romeo? Beermen June Mar Fajardo, Arwind Santos, Alex Cabagnot, Marcio Lassiter and Chris Ross must be in Cloud 9 with the arrival of Romeo. Include the fact that Christian Standhardinger finally is now in full harness as a Beerman. While Romeo has this infamous mercurial temper, he is never lacking in talent that can be of great use when the going gets rough for the Beermen. In Romeo, you have to separate his idiocies from his abilities. That’s the challenge to coach Leo Austria. Already the proud winner of six crowns out of seven Finals appearances, Austria will now bear the brunt of coaxing, moulding and transforming Romeo into a true and genuine WMD (Weapon of Mass Destruction). I’m sure Austria only knows too well that coaching isn’t just devising playing patterns, formulating defensive and offensive strategies leading to victories. He is likewise aware—should be aware—of his players’ good and bad habits, strengths and weaknesses, and idiosyncrasies as well. But the Beermen won’t see action until Friday, when they battle Columbian Dyip at Cuneta Astrodome in Pasay City. Tomorrow’s PBA opener between Barangay Ginebra and TNT KaTropa is set at the Philippine Arena in Bocaue, Bulacan. The greatest circus in town is back. Enjoy!